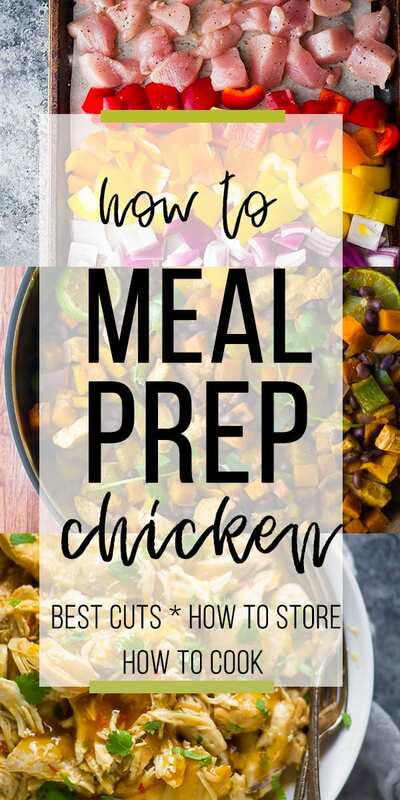 How to meal prep chicken- answering the most common questions about how to meal prep chicken and sharing lots of ways you can cook it! Chicken is one of my go-to ingredients when it comes to meal prep, but it’s easy to get into a rut. So today I’m sharing a TON of ways that you can meal prep with chicken! Chicken is a great source of protein. It is low in carbohydrates, fat and calories, but a good source of vitamins and minerals. Basically, chicken is a great ingredient to have in your diet and it works really well for meal prep. I love that chicken can take on so many different flavors…it really lets me get creative in the kitchen. I can’t wait to share my favorite chicken meal prep recipes with you! Should I wash my chicken? Which cut of chicken is best for meal prep? 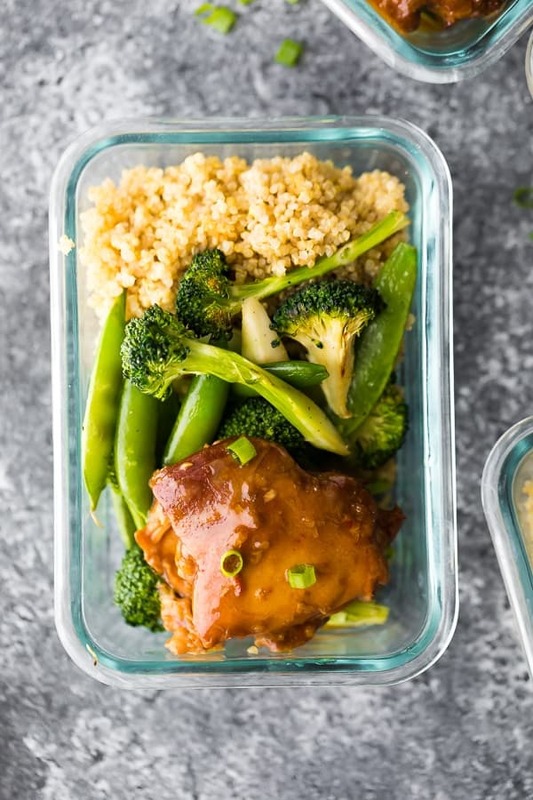 How long can I store my meal prepped chicken? Oooh this is going to be a contentious topic. There are two camps of people, and both vigorously defend their decision. I am camp “I don’t wash my chicken”. Why? Because any bacteria on your chicken are going to be killed by the heat of cooking the chicken. That’s the whole point of cooking to internal temp of 165°F. It is advised to not wash your chicken because you can splash the bacteria around (even if you are being super careful) and they can contaminate surfaces all over your kitchen. Watch this video to see what I mean. Eeeeek. However, I know you all clean up very well after you wash your chicken so I’m going to go with ‘you do you’ and ‘I’ll do me’. Sounds good? This is really going to come down to your goals and personal preference. I often pick boneless skinless chicken breasts because they are leaner and lighter, and reduce the overall calories in a dish. 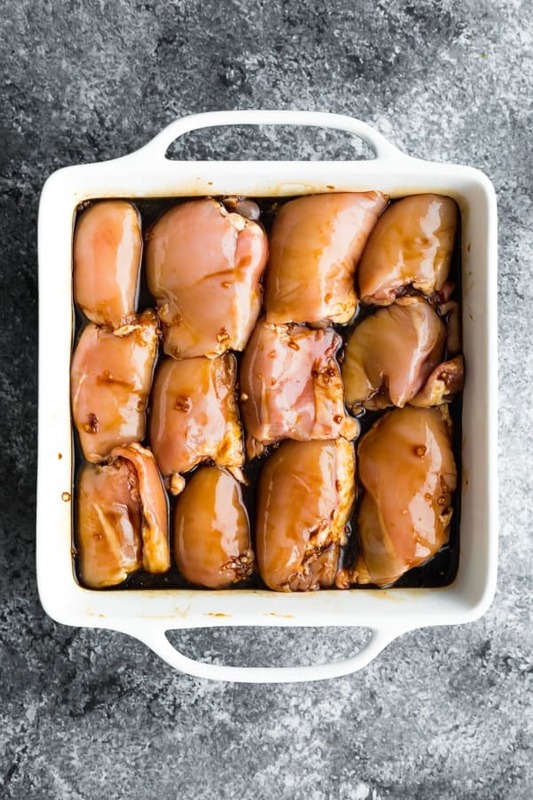 That being said, boneless skinless chicken thighs are also a great pick, particularly in the slow cooker (where chicken breasts can tend to dry out). See? The points above are the reasons I stay away from other cuts of chicken but they might not bother you at all! You can use whatever cut of chicken you prefer. I purchase my chicken from TruLocal, a Canadian company that delivers high quality locally sourced meat. Use code DENISE7297 for $25 off your first box! American friends, I have heard amazing things about ButcherBox but cannot personally endorse it since it is not available in Canada. Check out my friend Natalie’s ButcherBox review if you are interested! OK guys I am deferring to the experts here. This article from Health Canada has a TON of great information for you. These are the rules I live and die by when it comes to cooking chicken. I definitely think the 2-4 days rule is pretty cautious however I do have a strict 4 day rule for pretty much all refrigerated meal prep recipes. Baked chicken is my go-to for meal prep. It’s easy, hands off, and can end up juicy and delicious if you do it right! How to bake chicken for meal prep? 1. bake chicken breasts whole– follow my directions for Perfect Baked Chicken Breast. Let cool overnight before slicing to really seal in the juices! 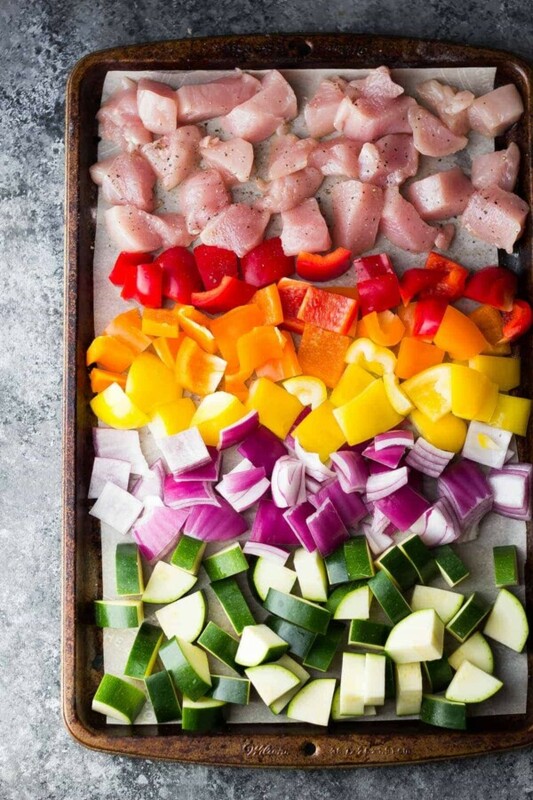 2. chop into bite-sized pieces– toss in olive oil and bake on a sheet pan for 15 minutes at 425°F. I do this if I am baking with veggies that take around 15 minutes to cook. Zucchini, bell peppers, that sort of thing. If you are short on time, sautéing your chicken is a quick way to get your meal prep done! It’s also an opportunity to add in a sauce or spice blend to give it all some pizzazz. Skillet recipes and stir fries are favorite ways to sauté chicken at our house. 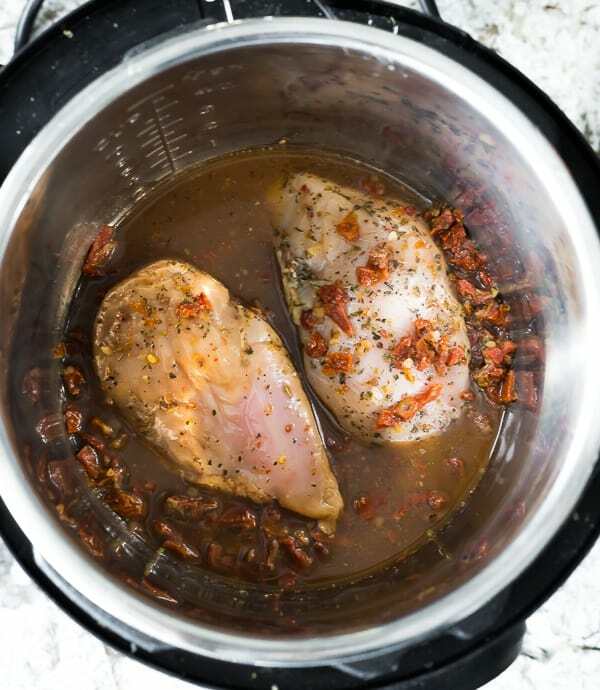 When it comes to the Instant Pot, there are several ways you can meal prep your chicken. 2. 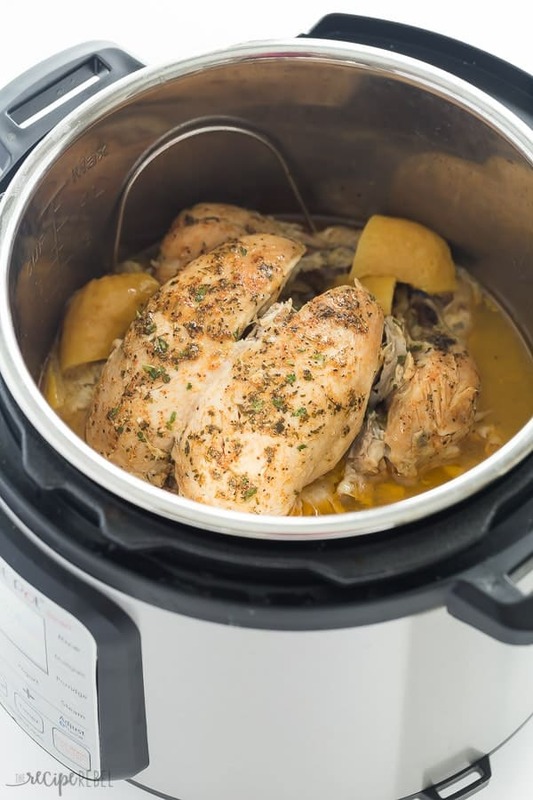 Freeze ahead- you can also portion out ingredients for Instant Pot chicken recipes and freeze! This means getting your meal into the Instant Pot is super easy. 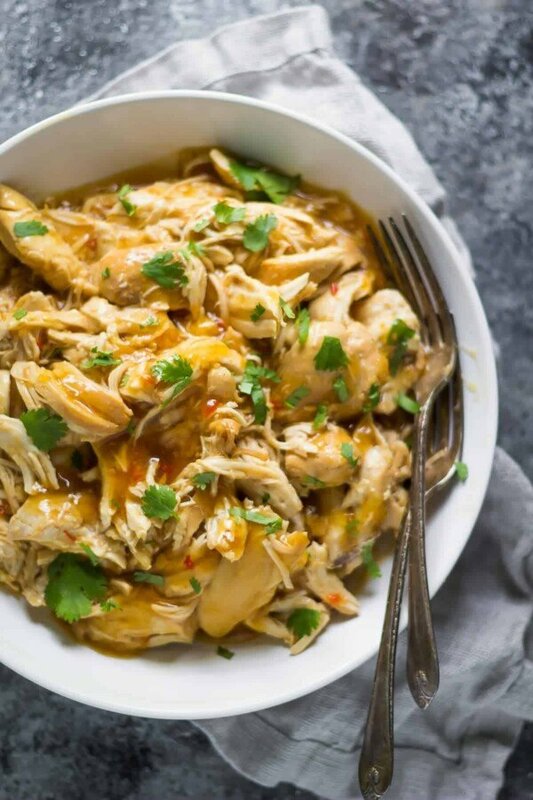 Similar to the Instant Pot, you can use your slow cooker in a few different ways to meal prep chicken. 1. Cook ahead- I have an older series on the blog where I would cook 1 big batch of chicken and use it up in 3 different recipes! I hope this post was helpful and that you have some brand new meal prep chicken recipes to try out!